Patience Jonathan, wife of former Nigerian President Goodluck Jonathan has forfeited temporarily N1.0004 billion to the Federal Government. The interim forfeiture followed a court order secured by the Economic and Financial Crimes Commission, EFCC. The money was lodged in three deposits with Fidelity Bank Plc on 20th and 25th May, 2015. The forfeiture order by Federal High Court sitting in Kano and presided over by Justice A. Lewis-Allagoa is consequent upon a motion ex parte filed by the Commission seeking for the interim forfeiture of the money. 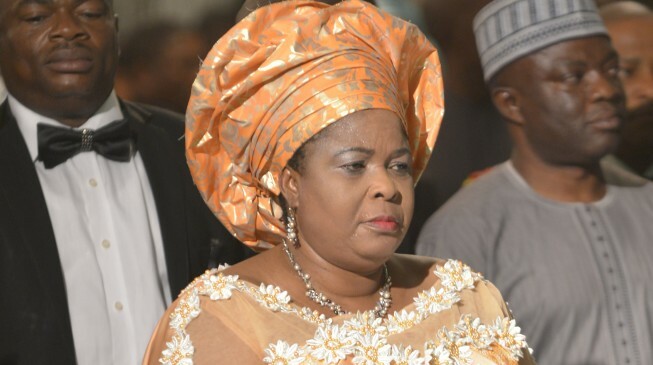 The money was found in the account of Magel Resort Limited, a company linked to the former First Lady Patience Jonathan. The Commission had gotten an intel that a bank account domiciled in Fidelity Bank, had a huge sum of money that was not being used by anybody. Upon receipt of the intelligence, the EFCC swung into action by conducting preliminary investigation, which revealed that Patience and some relatives of former president, Goodluck Jonathan were directors of the Company. Others named as directors are Oba Oba Tamunotonye, Goodluck Jonathan Aruera, Goodluck Jonathan Ariwabai and Esther Fynface.